The master plan includes 720 acres of commercial and mixed-use land allowing for Deer Creek to attract exceptional businesses to the Ankeny community. Deer Creek will integrate local businesses as well as large retail and office businesses. A future elementary school not only establishes Deer Creek to the greater Ankeny community, but ensures Deer Creek’s future growth – a community’s legacy is in its children. You have a sense of place at Deer Creek. 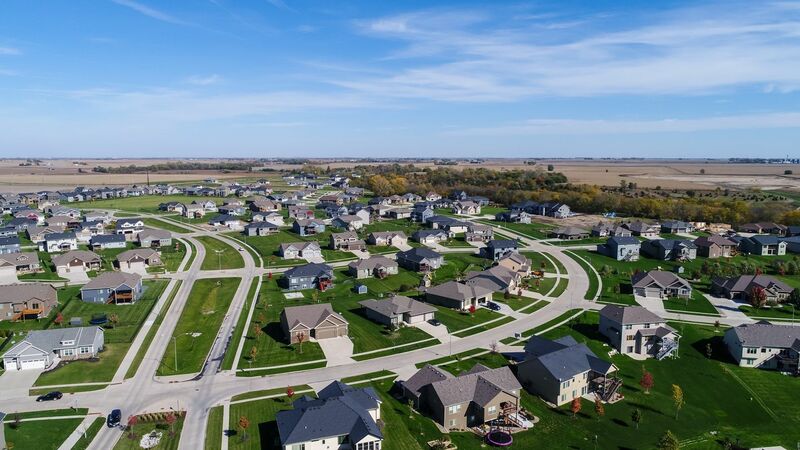 Walkable streets and park trails connect Deer Creek residents to each other and to the greater Ankeny community. Green space and parks dotted throughout the development offer families many opportunities for outdoor entrainment. The neighborhoods were specifically designed with enclaves and cul-de-sacs to inspire neighbors to become friends and to look out for one another. Open space is not hard to find at Deer Creek. Greenways of mature trees line the namesake creek that runs through the heart of the community. Neighborhood parks are sprinkled throughout Deer Creek and trails extend your sense of place and space to well past your driveway. The neighborhood features specialized streetscaping to make the community unique and conservation elements such as bio-retention swales to control storm run-off and improve water quality.